The following characters can be unlocked in Mortal Kombat vs. DC Universe, the crossover fighting game on the Xbox 360 video game console. To play as one of the unlocked characters, hold down the Right Bumper while at the character selection screen. Darkseid can be unlocked by successfully completing the DC side of story mode. Shao Kahn can be unlocked by successfully completing the MK side of story mode. 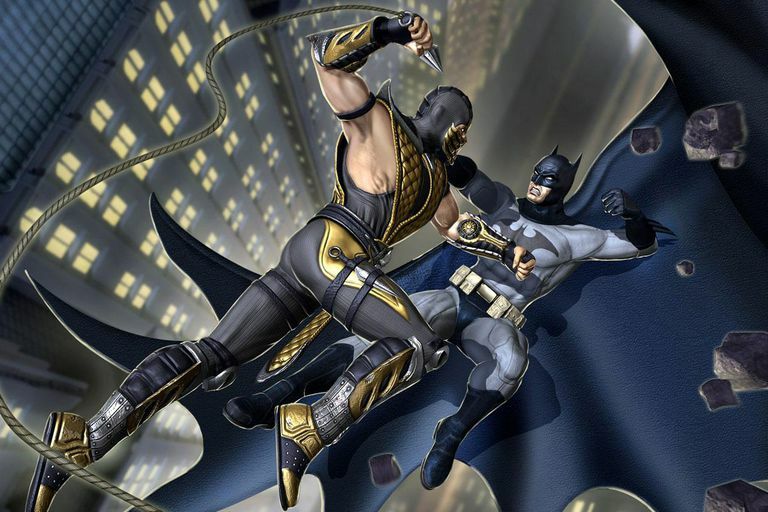 The following achievements can be earned in Mortal Kombat vs. DC Universe on the Xbox 360. To unlock an achievement and the gamerscore points associated with it, simply complete the indicated task. Beat Arcade Max without using a continue. Play 10 Ranked Matches online. Complete the Joker's Kombo Challenge. Perform a 10-hit combo in Arcade Mode. Complete Arcade Mode with all DC characters. Complete Story Mode MK Chapter 5. Complete Shao Kahn's Eexpert Combos. Complete Lex Luthor's Kombo Challenge. Complete the Flash's Kombo Challenge. Complete Green Lantern's Kombo Challenge. Get a Flawless Victory online. Complete Story Mode MK Chapter 3. Complete Story Mode DC Universe Chapter 3. Win a Chat Room Match Online. Complete Shang Tsung's Kombo Challenge. Complete Arcade Mode with all MK characters. Finish Arcade Mode with an MK character. Win 25 Ranked Matches in a row. Complete Wonder Woman's Kombo Challenge. Play 100 Chat Lobby matches online. Complete Liu Kang's Kombo Challenge. Complete Captain Marvel's Kombo Challenge. Complete Story Mode DC Universe Chapter 1. Finish Arcade Mode with a DC character. Finish Kombo Challenge mode on MK and DC. Perform all finishing moves in the game. Complete both Mortal Kombat and DC Universe stories. Complete the DC Universe side of Story Mode. Complete Story Mode DC Universe Chapter 5. Complete Story Mode MK Chapter 1. Complete the MK side of Story Mode.